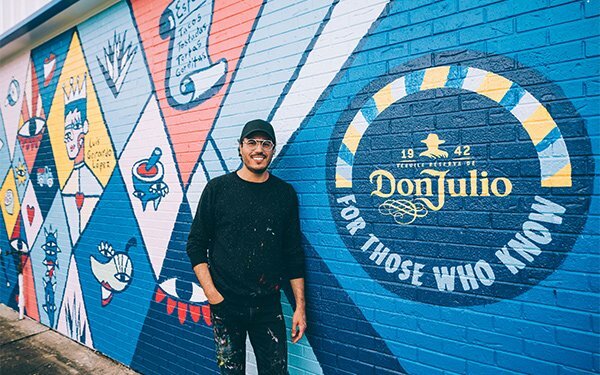 Tequila brand Don Julio recently unveiled the “For Those Who Know” campaign, the brand’s first new campaign since 2013 in the U.S. The campaign was developed with Anomaly New York. Drawing inspiration from vibrant homes and buildings found in towns and cities across Mexico, the new campaign features mural installations curated by Mexican artist Claudio Limon. Images showcase Mexican culture. The campaign includes national digital and out-of-home advertising, experiential marketing, social media and other elements. The mural installations will travel to different cities both to celebrate Mexican culture and local eateries such as Gerardo’s Drive In in Houston. Other cities on the itinerary include Miami, Los Angeles, New York and Chicago.